The 300 win mag has become one of the most popular North American hunting rounds. It also can deliver tremendous recoil depending on rifle setup and ammunition. Because of this, selecting the right scope for your 300 win mag is critical. Find out why the Vortex Razor LH and the Vortex Viper PST Gen 2 are the best all around scopes for the 300 Win Mag as well as where the other excellent choices line up. Stepping up to the 300 win mag is one of the more common caliber jumps for new and experienced hunters and shooters. Being one of the most popular magnum calibers in North America, it makes it an easy decision for many hunters. Ammunition and reloading supplies are plentiful (at least at the time of this posting) with tons of options for lighter recoil or extreme long range. Scope options for the 300 wm are going to be as diverse as the ammunition you can buy for it. You first have to sit down and really figure out what you want this rifle to be. Do you want this rifle to accompany you on multi-day backpacking trips where ounces matter? Are you going to be taking this rifle from the truck to the shooting bench? Or, like most of us, does this rifle need to wear multiple hats and be able to go on a hunt as well as have some fun at the shooting range? Durability: If you’ve read any of my other optics articles you already know I believe durability is at the top of the list when shopping for any scope no matter if its for a BB gun or a 338 Lapua. 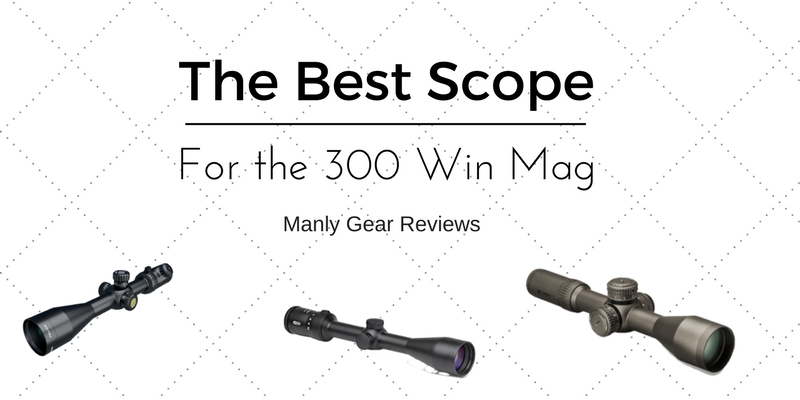 The 300 win mag poses an even greater need for a durable scope as many of them are used for hunting. Nothing is worse than putting all the work into a hunt and not knowing if your equipment is going to come through for you when it really counts. Bottom line, lightweight rifle plus heavy hunting or long range loads equals tremendous felt recoil. Having a scope (and mount) that is up to the task is going to be critical. 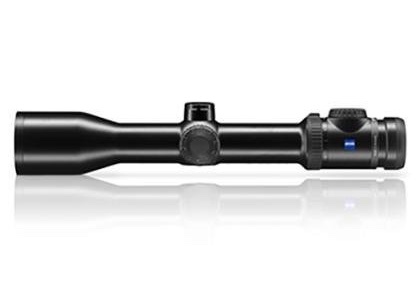 Value: The easy answer if you are looking for the best scope for your 300 wm is to grab a Swarovski if you are a hunter or a Vortex Razor if you are a long range shooter. But we are not going to do that. Most guys know those scopes are extremely nice but spending 4-5x what you bought your rifle for is rarely something most can (or want) to do. Luckily with how popular the shooting hobby is here in the USA we have lots of choices that won’t cost a mortgage payment. Repeatability: This isn’t as important for the hunter looking for a capped turret scope but for a long range shooter looking to dial their wind and elevation, repeatability is key. If you can’t trust that dialing 1.5 mils on your elevation turret is going to be a true 1.5 mils every single time then you are setting yourself up for some serious frustration. 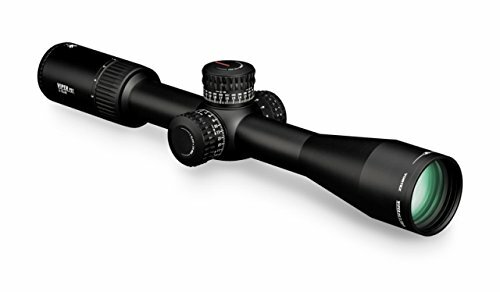 The Vortex Razor LH 2-10×40 gets our pick for the best overall 300 win mag hunting scope. The midrange hunting scope market is extremely competitive with many options under the $1k mark. The Razor LH rises above the rest of the midrange hunting scope pack by combining light weight, phenomenal optics, extreme durability and one of the best warranties in the business. 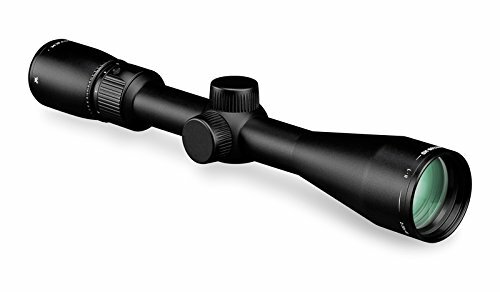 The Razor line is Vortex’s top of the line of optics. They are either made in Japan or here in the USA. Optics on the Razor LH compared favorably to the Leupold vx-6 line, as well as the Zeiss Conquest line. Coming in around 15oz its extremely light weight and would make a perfect fit for a hunting rifle. The HS4 reticle makes for easy holdovers when taking shots at distance as well as not being too busy that your view of the target is interrupted. This scope also comes in an even more bare BDC style reticle. The Vortex Razor LH is also only available in SFP, which for a non-illuminated hunting optic is probably the best way to go. One of the absolute best hidden gems in the rifle scope community. Meopta has somehow flown under the radar for years, quietly making some of the best bang for your bucks scopes and binoculars available. Based out of the Czech Republic, Meopta is known for being an oem supplier for many major scope companies (i.e. Nightforce spotting scopes, Cabelas Euro HD line, etc). At around $350, the Meopta Meopro 3.5-10x44mm is no doubt the best budget hunting scope you can buy that can withstand the punishing recoil of a 300 wm. 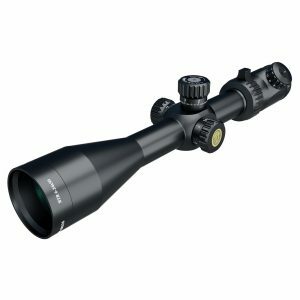 For around the same price as a Leuopold VX-2, the Meopro exceeds the glass quality of every scope I’ve looked at under the $500 price bracket. The 3.5-10 zoom range offers a good compromise between short and long distance capabilities. The eye-box is exceptionally generous considering the price tag on this unit. If you are on a budget look no further than the Meopta Meopro line of scopes. If you are the type that does not compromise on hunting gear then this is your scope. The Zeiss v8 series is the new top dog in the Zeiss line up. As you can probably guess, the v8 signifies this beast has an 8x zoom ratio! A power range from 1.8-14 makes this optic usable in pretty much any type of hunting situation. The Zeiss v8 uses fluoride coatings on its lenses. This used on most high end spotting scopes and is extremely expensive to do. It’s also one of the reasons the glass quality is so incredible. There are a couple quirks be to aware of with this scope though. The biggest one is the fact that the main body is 36mm. This will make mount and ring selection somewhat difficult as there are not many options in that size. It also is a big hefty at just over 20 oz. This optic is so incredible that those are things I’d gladly deal with. With class leading glass quality, an unbelievable zoom ratio and incredible build quality, the Zeiss v8 1.8-14×50 is definitely the best premium scope you can mount on a 300 win mag for hunting. When the first generation Vortex Viper PST hit the market many were hoping it was a Nightforce killer for half the price. While it was very good for the money, it was not quite up to the Nightforce. In comes the Gen 2 Viper PST. 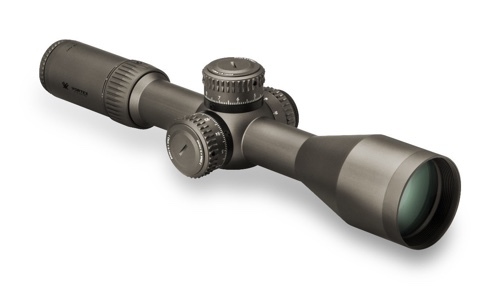 The Gen 2 Vortex Viper PST launched shortly after the new Razor Gen 2 as well as the Razor AMG series scopes. Design and styling cues are very similar to it’s more expensive brothers, I nearly thought it was an AMG when I first saw it. So what has changed? Well, pretty much everything. Illumination has moved off the eye box and onto the parallax knob like on the Razor. Turrets mimic that of the Razor. General build quality has increased as well as a nice upgrade in glass quality. The first generation PST had knobs that left a little to be desired. Vortex has nailed on it on this unit giving us good repeatability as well as a true zero stop. If you need a scope that is capable of long range shooting or hunting, as well as handling the kick of a 300 win mag, the Vortex Viper PST Gen 2 is one of the best scopes for the money. Athlon is fairly new on the scene but they have been gaining ground quickly by offering some really nice scopes at killer prices. The Athlon Argos BTR 6-24×50 is a full featured scope that compares favorably to other long range optics that are much more expensive. This particular Argos BTR has an FFP reticle which makes hold overs at any magnification possible. It also has illumination and side parallax adjustments, features typically reserved for much more expensive scopes. Having matching turrets (turrets and reticle) is a requirement nowadays. Budget scopes seemed to be the last group to get these but now that manufactures have caught up with what us shooters want there’s no need to compromise on features if you have to stick to a budget. So what do you give up by going with a $400 optic? At this price point you are going to be giving up a little in turret feel, general robustness and of coarse glass quality. What you don’t give up is warranty. The Argos carries Athlon’s incredible no fault warranty. If you are on a budget but want to use your 300 win mag in more of a long range type of role, look no further than the Argos BTR 6-24×50. If you have been watching the long range scope market you know that there has never been a more heavily sought after scope than the Vortex Razor Gen 2 4.5-27×56. If you are looking for the best in a dedicated long range scope for your 300 win mag the Gen 2 Razor should be your first stop. The 4.5-27 makes for a fantastic zoom ratio with a very usable FOV throughout the whole zoom range. While the FFP reticle is a little hard to use at lower powers you can still see the crosshairs just fine for a quick shot. While technically these are made in Japan, once Vortex receives them they are taken apart, US made internals are placed back in and each scope is then tested. These things are absolute tanks. The parallax is butter smooth and the 10 mil turrets have the perfect amount of spacing and feel. Illumination is handled by a slick pop-out dial that is on top of the parallax knob. Zeroing is a real treat on this model as well. All you do is pop off the top turret cap and you have access to a brass fitting. Just turn the fitting in the direction of your needed zero. What makes this system so amazing is the zeroing fitting is not bound by the adjustment clicks of the scope, instead it has infinite adjustment which allows the shooter to get an absolute perfect zero. OK, so it’s built like a tank and has very nice adjustments. What else are you getting for $2500? Top tier glass. The glass on the Vortex Gen 2 razor are simply incredible. No matter what power you are on the glass is edge to edge crisp with no chromatic abrasions. Many compare the Vortex Gen 2 razor to top tier S&B scopes costing twice as much. If you want the absolute best long range scope for your 300 win mag the Vortex Gen 2 Razor is a no compromise unit that can easily handle the rigors of a 300 win mag.